Central to the novel is the very idea of valiant gentlemen in an age of unquestioning nationalism and stiff upper lip masculinity. Though the protagonists achieve a certain level of success, neither of the men begin as gentleman by any standard of the peerage: Roger Casement hails from penniless Northern Irish stock, and Herbert Ward runs away from home as a child, surviving for a time as an acrobat and deckhand. And yet these men, with their new money and newer titles, artistic temperaments and “inverted” behaviors, manage to help shape the history of obdurate old Great Britain. So who is valiant, exactly, and who is the gentleman? Casement doggedly tries to enact change in places where colonial vice resides: the Congo, Brazil, Ireland torn apart by attempts at Home Rule. Ward, though kind and steadfastly loyal to Britain, has a tendency to slide into moral decline when separated from the careful guidance of his friend, and, later, his wife. In spite of a friendship that spans 30 years, both men, without even realizing it, will betray the other. Nimbly shifting continents, decades, and political alliances, Sabina Murray does a brilliant job imbuing grand chunks of black and white history with color-breathing fire. Yet there is a haunted feel to the novel; a specter that looms over the slightly bulky second half. It is the Congo, and the reader can’t help but feel nostalgia for it in the same way that Casement and Ward do for their wild youth. As the story moves from the dismal heat and dengue of Africa and into the cool parlors and tea shops of Paris and London, the book begins to limp a bit as if sharing its characters’ own achy and arthritic middle-age. In some ways this is inevitable: How can anything compare to the anecdote of a young girl purchased by a curious Irishman for six handkerchiefs and then given to cannibals just so he could sketch her dismemberment and roasting? Or the stoic concubine purchased for a good pair of British boots? The image of Ward, blondly handsome, twitchy with his gun, eager for elephants, or Casement, furiously righteous, sicing his dog on the slaver trying to kidnap his young guide? The later scenes of sending sons off to war and lovers trading secrets with spies have trouble maintaining the momentum of those early African days. 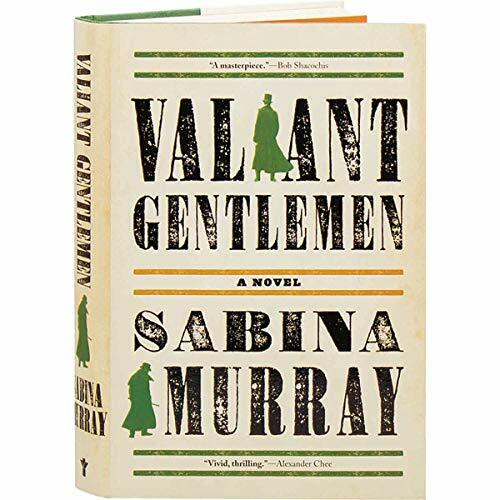 Valiant Gentlemen recreates an entire, magnificent era, exploring identity, friendship, marriage, love, and grief, tracing the days of two great men from passionate youth to disenchanted old age. Upstanding men who chased ideals that would never be realized, who never viewed themselves as valiant or worthy enough for the age in which they lived. Men who Murray has, through the power of her keen writing and sweeping insight, resurrected, letting the heroism of their lives outshine their small and human frailties.